Amp up your professional style with this Womens Navy Blue Short Sleeve Polo Shirt! This New England Navy Blue Quest Short Sleeve Polo is the perfect way to show off your team pride to your coworkers. 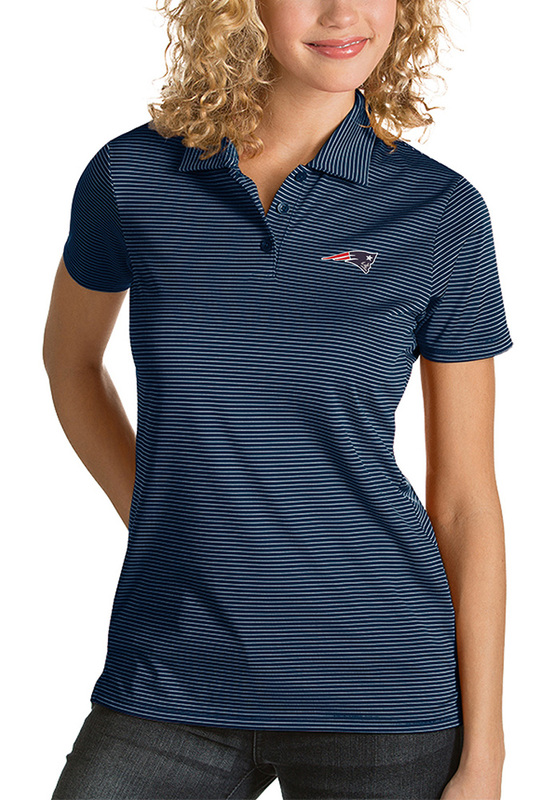 Look good in this New England Patriots Short Sleeve Polo, which features a licensed New England Patriots team logo embroidered on the left chest.